There was a long gap between 'Fantasy Kid' (1981) and 'Johnny....' (1985). This was because the band basically split due to major problems between Allan and Nielen. Also Tully had enough of the madness so the Mirror went to sleep for four years. How did it come back together? Well... I bugged and bugged and bugged Tully to get them together again and after a few tentative meetings between all concerned lo and behold ... a new album. 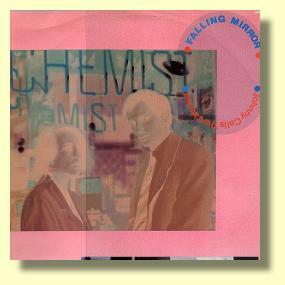 For most Mirror fans 'Johnny...' was the album that opened their eyes and ears to the arcane world of the Mirror... that was simply because the title track had so much airplay (and still does to this day), it was their "hit" so to speak (went to No.1 on 5FM that year and was also included in their Top 100 hits some years back). 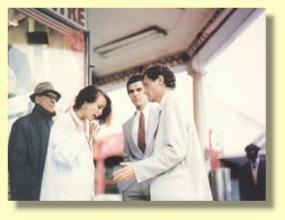 It led many to go back and discover the beauty of the first three albums although not in droves! 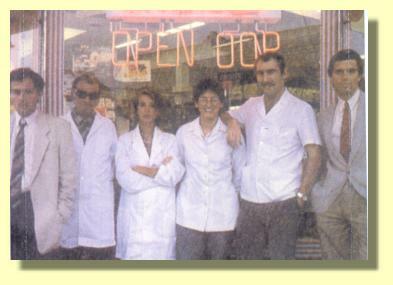 But 'Johnny' was also their most intense, complex, scary and downright schizo album, based on a real life girl in a chemist that Nielen was obsessed with, rumour has it that it's her on the cover and in the insane video of the title track. It was also a concept album in the loosest sense of the word. 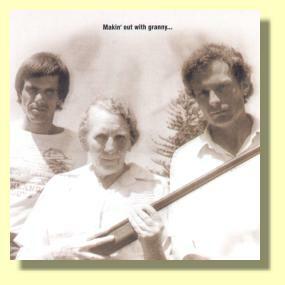 You will note that there is yet another version of the classic 'Making out with granny' on the album, this time an extended sonic acid drenched guitar workout. Besides the title track the only other track that was culled from the album was 'As sly as the fox' b/w 'Encounter in a takeaway shop' which was released by WEA France as a 12" 45rpm single in 1987. This is a fascinating album drawing on a variety of music styles from synthpop ('Automaton Town'), through rock n roll ('Encounter in a takeaway Shop') to pure rock ('Makin' out with Granny'). The album loosely tells the story of Collette, a girl working in a Chemist in Automaton Town, supplying the local junkies with their fix. She is the subject of Johnny's fascination. 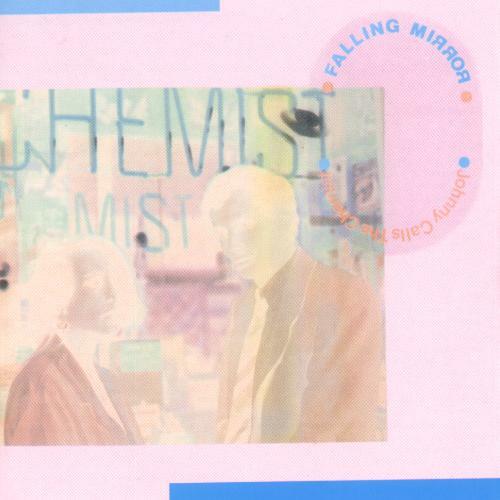 'Johnny calls the Chemist' with it's Dylanesque vocals was a big (by Falling Mirror's standard) hit and rightly so. It was probably its catchy tune with an odd title & lyrics that caught the imagination of South Africans, many of whom probably didn't realise that Johnny wasn't just suffering from a little sniffle and needed some Benylin. 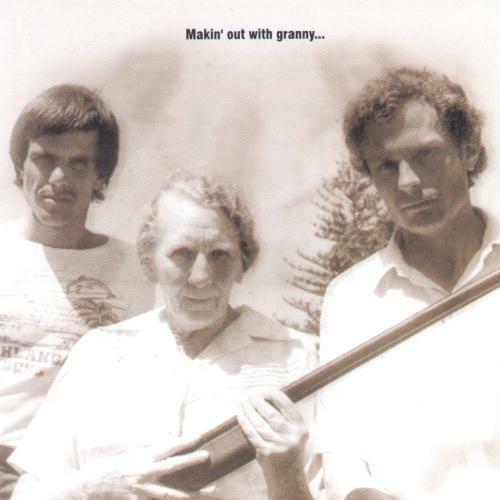 Despite it's dark subject content the album doesn't get bogged down in the quagmire of drugs and obsession, but is kept bouyant by the upbeat tunes and great guitar riffs (especially 'Makin' out with Granny'). It was probably too clever an album to get mass appeal. 'Johnny Calls the Chemist' and 'Makin' out with Granny' are available on the compilation CD 'Shattered'. If you want to hear the rest of this great album, you're gonna have to find it on vinyl. With rave reviews of their performance at last week's Southern Cross Festival still ringing in their ears, and hopefully easing them through the disappointment of missing that 'Best Rock Album' SAMA Award, Gauteng rock band Wonderboom have unveiled the first single from their upcoming album on the David Gresham Records label. This sequel to their 'Never, Ever, Ever,…' EP will be paying tribute to some classic SA rock artists and songs. 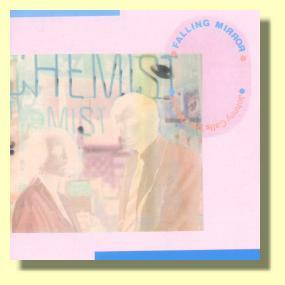 The new single is the band's interpretation of the Falling Mirror 1986 song, 'Johnny Calls The Chemist'. 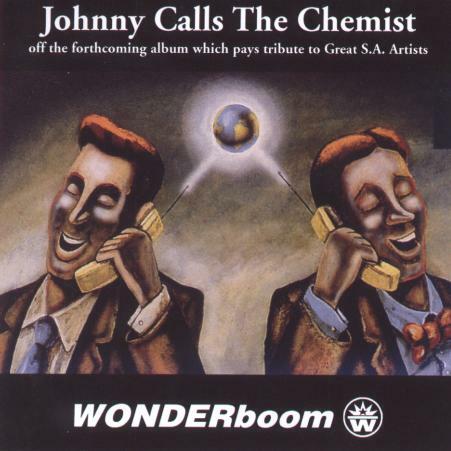 Wonderboom's release of this cover also timeously coincides with the April CD release of the original Falling Mirror concept album, 'Johnny Calls The Chemist' on CD on the Retro Fresh label. 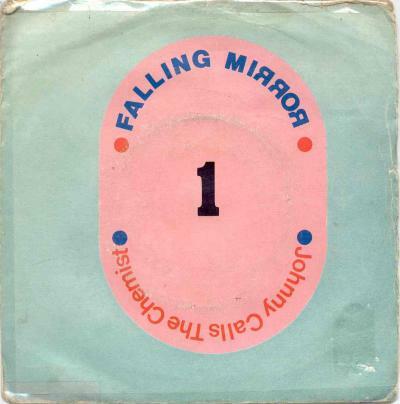 The original version of this song featured the sinister Dylanesque vocals and lyrics of Neilen Mirror and the glorious guitar licks of Allan Faull, and still receives consistent airplay on SA radio stations. The song tells of "Johnny's" obsession with, and rejection by, a female pharmacist. 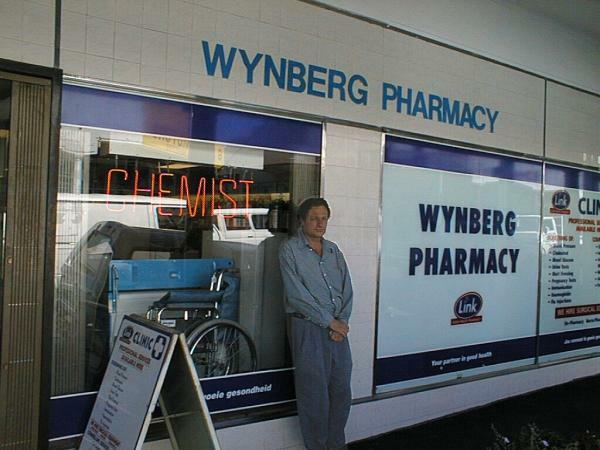 This was based on a series of incidents between Nielen and 'Collette', who used to assist him when he visited his chemist in Wynberg during the early '80's. 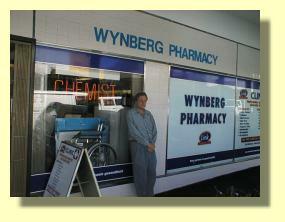 Nielen is still a customer at the same Chemist, and is well known to all the staff. Strangely enough, when the Digest asked Nielen if he had heard the new version, he said that he hadn't yet, but he knew of its existence because one of the staff at his Chemist had heard it on the radio and had told him about it. 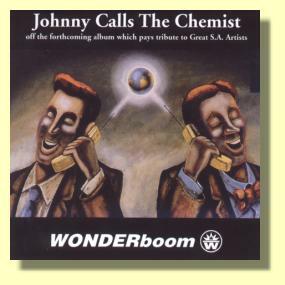 Hence the alternative title for this piece which is "The Chemist Called Johnny To Tell Him About Wonderboom's New Version Of 'Johnny Calls The Chemist'". Wonderboom's new version is a looser, rockier interpretation and it will be interesting to see how it fares on the radio. The lyrics have been mildly adjusted to exclude some dubious concepts, and it is a worthy appetizer to what is shaping up as a fascinating album release. Wonderboom have only released two EP's – 'Is It' and 'Never, Ever, Ever, Ever' - since forming in 1997 from the remnants of The Electric Petals and Eight Legged Groove Machine. With the full album out in the near future, special attention will be paid to the band's upcoming appearances at both the 5FM Easter Rock Festival (Sat April 14) and Splashy Fen (Sat April 28). Thanks to John Samson for the original album cover scan and review, Benjy Mudie for the track list and behind-the-scenes info and David Robinson for the 2001 photos of Nielen.